Elihu Paez aka Ellez Ria was born on Jun 15th, 1991 in Mexico City. He started to know the production music world with a friend on 2013 finishing his first track "Hope" under his alias "XTranceproyect" getting support from Giuseppe Ottaviani, after this, he was supported on Go On Air for many times and then sign his first tracks, getting support from artists like Manuel Le Saux, FEEL and more. 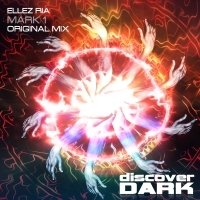 On 2014 release his first EP called "Throwback" and born the name of "Ellez Ria", with the first track of this EP, "A.R.I" gets the support from Aly & Fila and Ahmed Romel, after this, his track "Overdrive" is played by Armin Van Buuren on special episode A State Of Trance 666. Nowadays he is a rising mexican talent with a brillant future.